About us: Brain Traffic is a content strategy agency. Founded in 2001, we serve clients all over the world from our home base in lovely Minneapolis, MN. We are a boutique content strategy firm that partners with large organizations worldwide. Our staff is uniquely qualified to partner on projects that require a variety of content strategy skill sets, from UX to editorial to digital strategy. All project conversations start with our CEO, not an account director. Kristina Halvorson hand-picks each team for your specific project needs. You never get the “B” team … because there isn’t one. Brain Traffic contractors are longtime, deeply experienced partners. We continually educate ourselves on what’s new and trending in the field of content strategy (and everything related). Brain Traffic team members lead the content strategy conversation worldwide. Brain Traffic is committed to sharing our hands-on experience with the wider content strategy community. CEO Kristina Halvorson is the author of Content Strategy for the Web and the host of The Content Strategy Podcast. We’ve spoken at well over 100 conferences around the world. Our staff are regular contributors to industry articles, white papers, podcasts, and webinars. Since 2011, our Confab content strategy conferences have welcomed nearly 8,000 audience members from 40 different countries. Our core values shape everything we do. 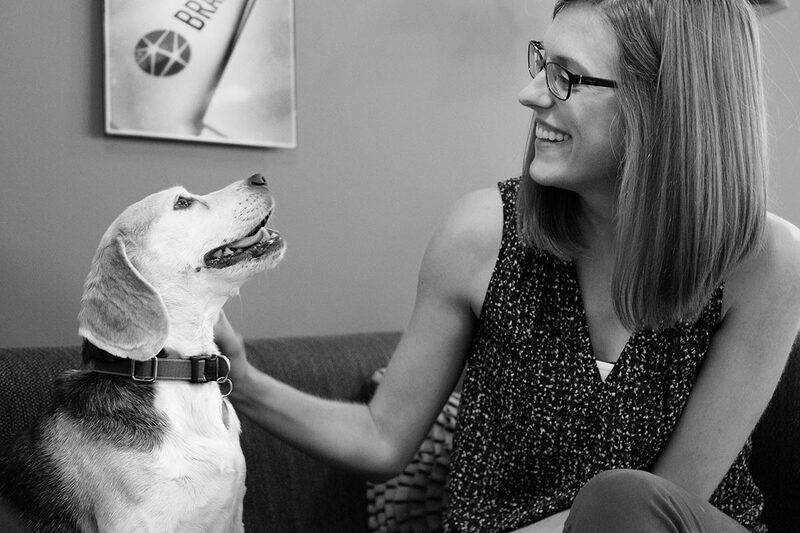 Brain Traffic is a great place to work—and not just because we have two office dogs. Our entire team shares a set of core values that infuse every client project. Put people ahead of process. Brain Traffic welcomes inquiries from freelance content strategists and digital writers with 8+ years of experience. We’re not hiring for full-time positions right now, but you can follow us on Twitter to keep up-to-date with any hiring announcements. Your content is one-of-a-kind, but it’s likely the challenges you’re facing are not. Take a moment to tell us about your project, pain points, or aspirations—we’re here to help.